Is Booking your band or booking dates at your Club a challenge or robbing you of time? The Wheelersvt Productions acts as the point of contact for Bands and Venues to fill entertainment slots. 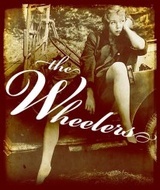 The Wheelers Cinco De Mayo at The Party Barn!